Tom Jung Photography: Rant: Get Real! Rant: Garry Trudeau hit the nail right on the head. However, it is ironic that many readers won't see that this comic strip was a barb aimed directly at them. And it is not limited to photography. I am fearful that B.D. 's daughter, Samantha, only heard part of the story. Yes, you can be anything you want to be, but wanting something is not the same as getting it. Nobody "gets" a successful career handed to them. The blood, toil, tears, and sweat that are part of every worthwhile venture are like the seeds in the watermelon. You have to deal with them if you're going to eat the fruit. Seedless melons exist, perhaps only for the impatient or those that believe life has shortcuts. Technique Trumps Technology: Photographers should never mistake advances in technology for mastery of technique. Any photographer who sets his camera on "P" assuming that it stands for "Professional" is misguided, for he or she has essentially surrendered exposure control to the judgement of the built-in computer. Granted, modern built-in through-the-lens metering is remarkably accurate when used properly, so a camera can be counted on to render a reasonable exposure setting for most average lighting situations. But when things go a little south of normal, a photographer needs to shift his own gears and make decisions that will ultimately affect the overall appearance of the photo. The road to mastery is called "Practice", and it will be lined with hundreds of mistakes. And to quote my former student Jeremy Ehrlich's father Don, "Practice doesn't make perfect. Perfect practice makes perfect". As a symphony violinist, he would know. Strive to learn something from every shot you make, and with the miracle of instant image preview, there's no excuse not to. You Have A Gift: I hear this from time to time, mostly from people who believe that the big camera, long lenses, and auxiliary lighting equipment are what good photography is all about. If one were to go back to my roots, you'd find I learned the craft using my father's Mamiyaflex twin lens reflex camera. Manual exposure adjustment, manual focus, manual everything. Using this camera, I struggled to master available light shooting using ISO 400 speed Tri-X film and a selenium Weston light meter. 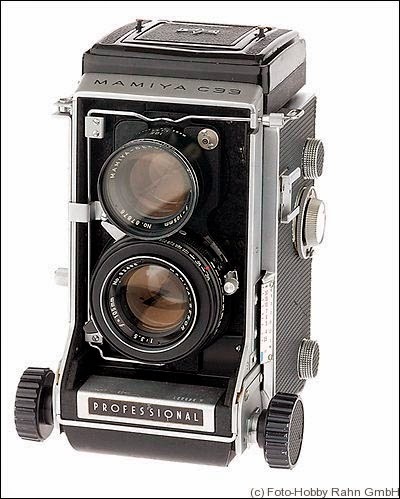 The Mamiya was so basic that the film advance and shutter cocking were not integrated and both had to be done separately. And with a 12-exposure roll of film, you had to think long and hard before actually making an exposure. Next, I had to find the time to actually develop the film. And when that film was finally removed from the development reel, then, and only then, did you know if you captured a usable image. Looking back, that attention to detail served me well. Digital technology allows me to concentrate on the image itself and to trust the camera to make the more basic decisions. But was I given a "gift"? No. If there are any unique skills I bring to my photography, I earned them the traditional way. No shortcuts, just a lot of trial and error. Practice Smart: Any photographer should consider how each personal photographic project fits into his or her ultimate career goals. Like photographing people? So photograph people - people you know, people you don't know, people you like, people you don't like, people you find attractive, people you find interesting. Once you had time to accumulate so pleasing images, compare your efforts to a photographer that you admire. When you reach a point where an unbiased observed can't tell your work from theirs, you're well on your way to completing the journey. I heard of an aspiring photographer who believed that by playing a video game where the hero photographed Zombies, he could improve his photographic skills. I didn't believe it such a game existed. 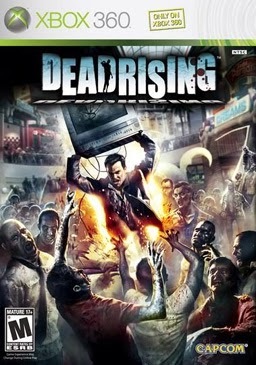 But I recently did a Google search on the word string "Video Game Zombie Photographer", and found this title, along with nearly a dozen others like it. I could be wrong, but unless the game controller looks and handles like a Nikon D4, I doubt seriously that this is a viable substitute for actually photographing actual subjects, whether they are zombies or not. True, there are some good simulations out there, but when you are actually in the field, you'll need much more control over your equipment and your environment than any controller can provide. This is not about an old guy ragging on this new, digitally infused generation of image makers. I'm sure that their intimate association with the technology has given them access to tools I could only image when I was their age. But just because you are not required to manage the execution of your images doesn't mean that exposure control, composition, and timing are simply quaint notions to be ignored. As in all things, stuff happens, and when it does you'll need to call on your cumulative photographic experience to help you get that usable image. And the "P" setting probably won't get the job done.